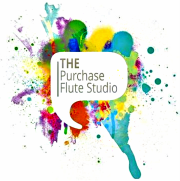 Emily Annesley is currently pursuing a Masters degree in Flute Performance at the SUNY Purchase Conservatory of Music. She completed her undergraduate studies at the State University of New York at Fredonia, where she earned a B.M. in Music Performance and a B.A. in English. She has had the honor of performing in masterclasses led by Ian Clarke and Gary Schocker, and has performed with the Western New York Chamber Orchestra. As a member of Fredonia's College Symphony Orchestra, Emily had the pleasure of working with Jennifer Higdon during her residency with the composition studio, and played piccolo in the university's production of The Merry Widow. In her free time, Emily enjoys reading, crocheting, the occasional horror movie, and trying all the vegetarian cuisine the Hudson Valley has to offer.